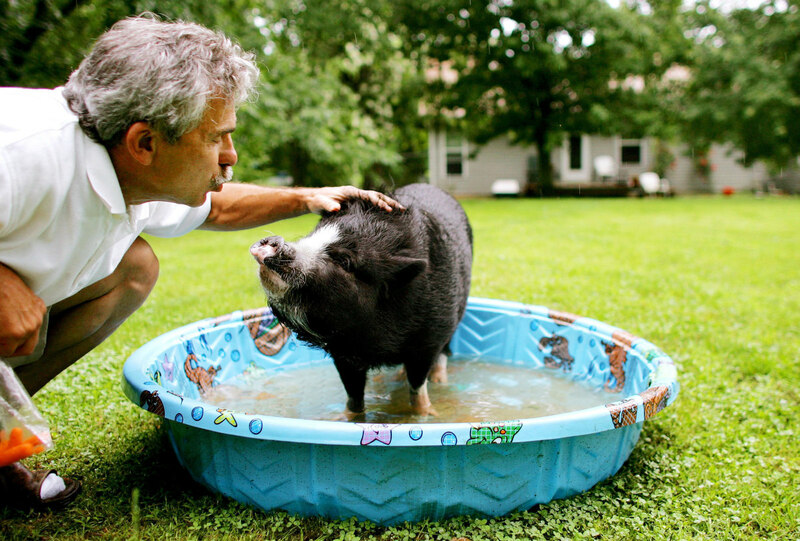 Chuck Hiatt gives a kiss to his pet Vietnamese Pot Bellied Pig “Bingley” as the two play outside in the pig's personal swimming pool in the backyard of Hiatt's home in St. Clair, Mo. "He's probably going to outlive me," he said. "Guess that means he's going in my will."